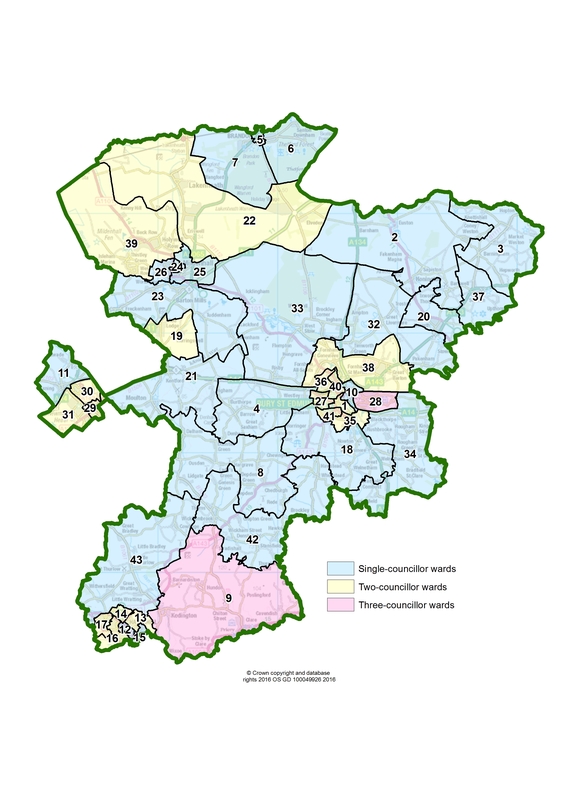 Ward boundaries for the new West Suffolk Council have been published by the Local Government Boundary Commission for England. In May, the government confirmed that two new local authorities should be established in Suffolk. A new West Suffolk District Council will be formed of a merger between St Edmundsbury and Forest Heath councils. East Suffolk Council will be made up of a merger between Suffolk Coastal and Waveney councils. The Commission has now finalised the wards which will be represented by West Suffolk’s 64 councillors. The new arrangements will come into effect at the council’s first elections next year. A review of ward boundaries for the new East Suffolk Council has taken place at the same time. The Commission’s final recommendations propose that West Suffolk’s 64 councillors should represent two three-councillor wards, seventeen two-councillor wards and twenty-four one-councillor wards. Professor Colin Mellors, Chair of the Commission, said, “We are grateful to people across West Suffolk who took part in the review. The Commission has looked at all the evidence that was put forward during the consultation. Towards the south of the new council area, the Commission has changed its recommendations so that the parish of Rede will now be included in the Chedburgh & Chevington ward rather than Cavendish ward. The Commission has responded positively to local views that described the close community ties between the parishes of Chedburgh, Depden and Rede. Further to the south, the Commission has been able to accommodate local consultation responses as part of its final recommendations. For example, feedback on the draft proposals described the community links between the parish of Clare and the parishes of Stoke by Clare and Wixoe. 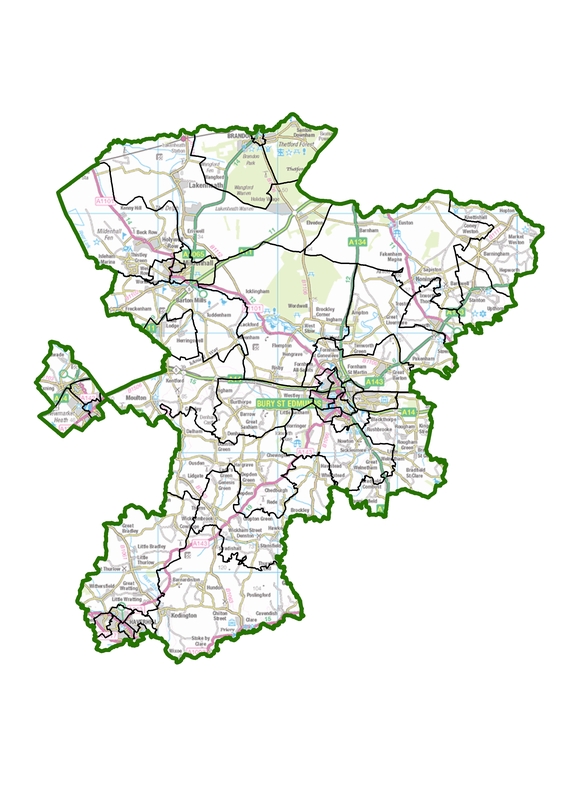 The parishes had been included in separate wards under the draft proposals but the Commission has now redrawn its boundaries so that they will all be part of a Clare, Hundon & Kedington ward alongside other parishes. Elsewhere in West Suffolk, and in response to local feedback, the Commission has made minor changes to its proposals in Mildenhall, Newmarket and Haverhill. It has also changed the name of some of its proposed wards as a result of local suggestions. The full recommendations are available on the Commission’s website at www.lgbce.org.uk. In May 2018, the government confirmed changes to local government in Suffolk. The decision means the creation of a new West Suffolk Council and a new East Suffolk Council. Full details of the Commission’s final recommendations (including maps) can be viewed at: https://consultation.lgbce.org.uk/node/13251.